Qredits Aruba held its first Qredits Business Seminar at Mundi Health Café (our youngest entrepreneur) located in San Nicolas. This seminar focused on 4 important topics related to "Effective Business Management". These topics were presented by our 4 coaches and included the following: Marketing, Tax, Administration & Personal Effectiveness. The seminar ended with a networking session which included delicious wraps and healthy juices made by Mundi Health Café. The amount of positive feedback that we have received, truly opened our eyes on how important such a seminar is for our clients and also our coaches! 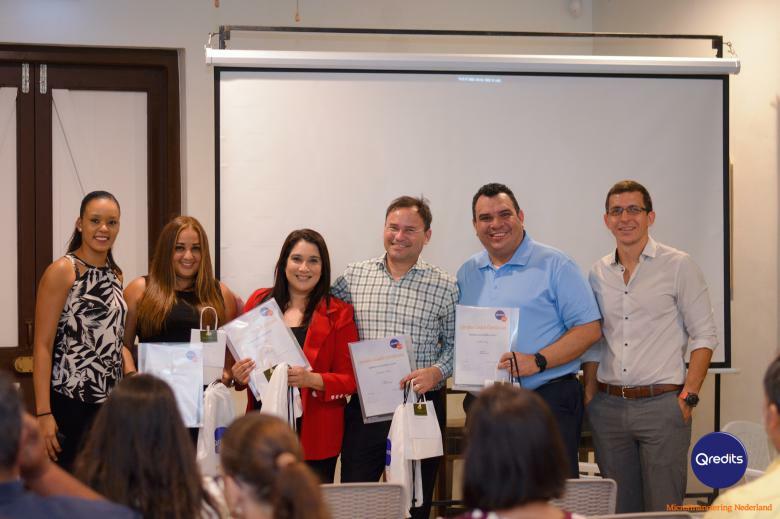 Based on this, and the seminar’s success, Qredits Aruba will certainly be planning more seminars in the future, giving our entrepreneurs the opportunity to further expand their business knowledge and ultimately applying this in their own business for further success.